Kissing the coast and merely 40 minutes away from the country’s capital city by train, Tianjin is a culture-rich transport hub for international commerce. 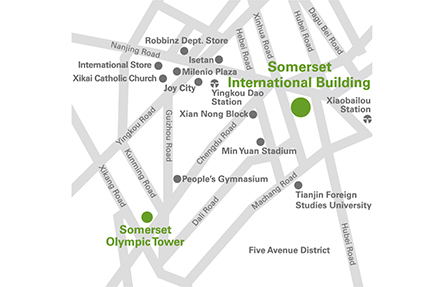 It is here, right in the heart and soul of its central business district that Somerset International Building Tianjin lays. Massive shopping centres such as the Exchange Building, Tianjin Emperor Place, ICTC and Centre Plaza are all within a 15-minute walk from the residence, as is the History Museum of the Five Avenues. On the weekend, pay the famed Yaxuan Teahouse a visit with your business associates. The classical teahouse is luxuriously decked with traditional mahogany furniture and delicate Chinese lanterns. It is said that one should savour the teas the way one would savour wines. Adventurous travellers will be pleased to know that Tianjin is also blessed with a multitude of sights to behold. Enjoy everything from cultural and historical hotspots to untouched natural wonders, such as the Haihe River and Panshan Mountain, where walking, cycling and hiking tours can be arranged. The Huangyaguan Great Wall located slightly outside the urban city is also worth a visit. An annual marathon that draws international crowds is held here each May. However, one should never miss the cultural sights in this city. 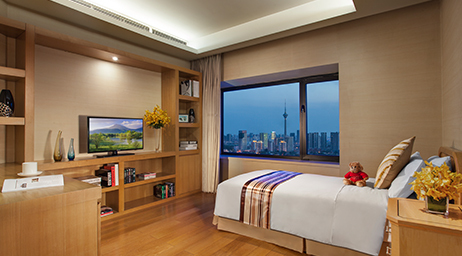 The historical Astor Hotel, Dule Temple, Dagu Fort and Ancient Culture Street (Gu Wenhua Jie) are easily accessed via the close-by Xiao Bai Lou subway station located just 8 minutes away from the residence. 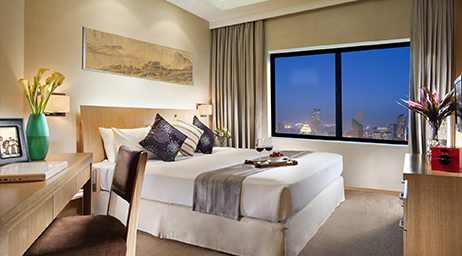 Pay the hotel, temple and fort a visit to dig deep the city’s rich culture and history before taking a stroll down the Ancient Culture Street to sift among hawked wares such as authentic antiques, Zhang sculptures, calligraphy materials and Tianjin kites. For food, treat yourself with the freshest catch of the day at the smattering of seafood restaurants located by the beach, or return to Somerset International Building Tianjin's vicinity for some chicken rice, stuffed buns or chewy hand-stretched noodles. 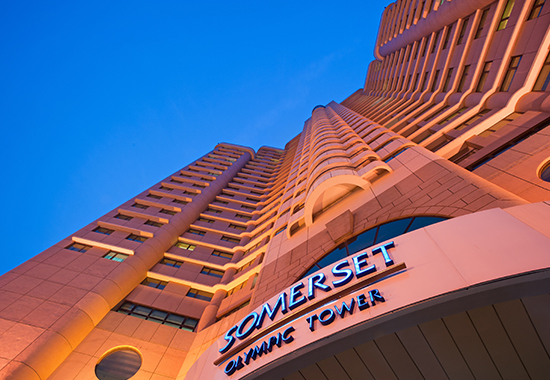 At the end of the day, retire to the Somerset International Building Tianjin for a proper rest. 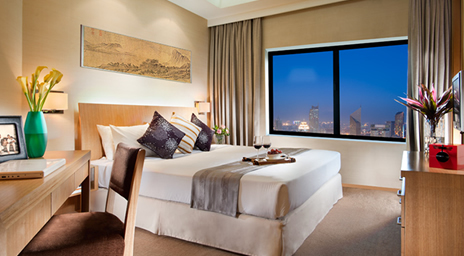 The residence offers travel-savvy guests the flexibility to customise their stay by choosing the services they require for their globe-trotting lifestyles. 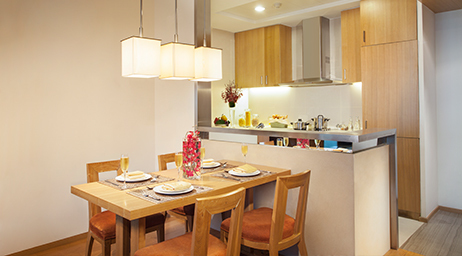 Serviced apartments are equipped with generously spacious 1-bedroom apartments to premium 3-bedroom apartments that come with a well-equipped kitchenette, separate working spaces and sleeping areas. 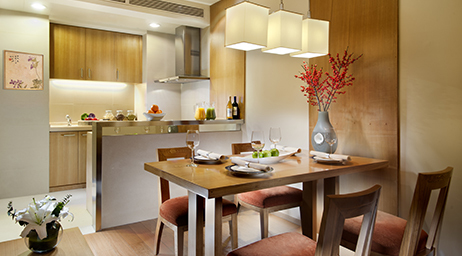 Residents are also encouraged to make full use of the property’s comprehensive facilities such as the business corner, gymnasium, steam room, residents’ lounge as well as secretarial and courier services. Nonsmoking apartment set up in property. 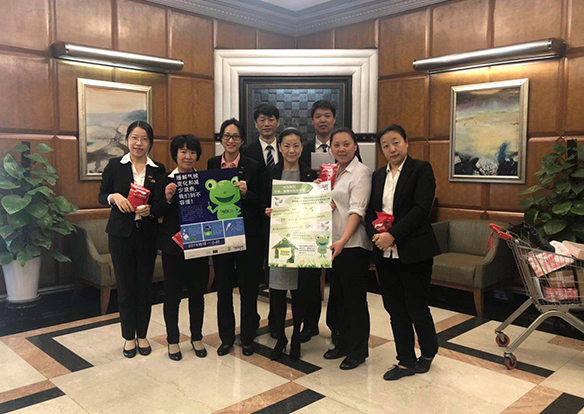 On 30 March, in celebration of the Earth Day, we encouraged our residents and our staff to join us the activity—go outside and run. 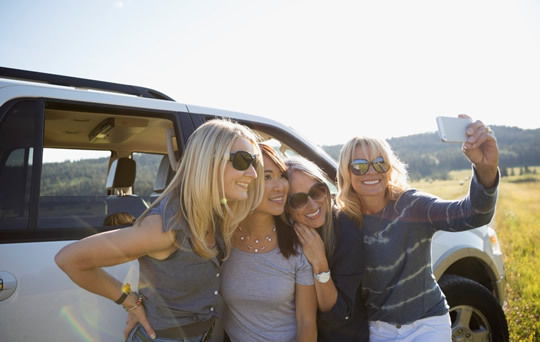 Exercise at your own pace and record it on the app to measure how many steps you had achieved. Many residents and our staffs joined this activity. And the top 10 Residents with the highest number of steps finally received a token of appreciation (minimum is 10000 steps). Not only for healthy and fun, but also for our unique home—this beautiful plant, Earth. 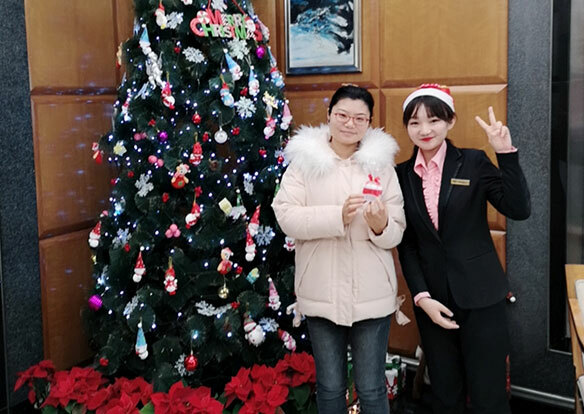 Recently, in order to thank the guest for their continuous support to the property, Somerset International Building Tianjin prepared Christmas gifts for the residents, which brought the greetings and blessings to our guests, so that they can feel the warmth of home in Somerset International Building Tianjin. On a cold winter day, couriers deliver many packages for everyone. 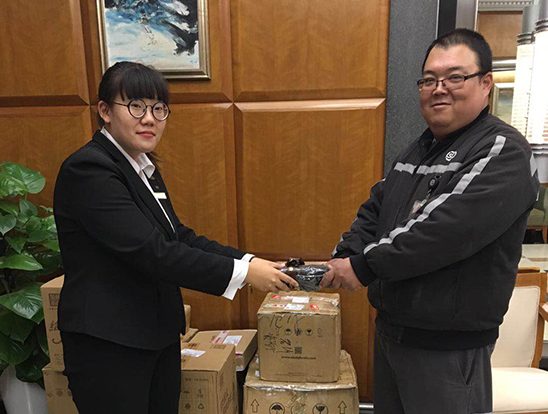 In order to give the warmth to them, Somerset International Building Tianjin prepared warm gloves for the couriers which dispel the cold for them in the cold winter and the courier's heart is warm. Somerset International Building Tianjin is through a bit of warmth to make the community full of love and harmony. We have been acting! 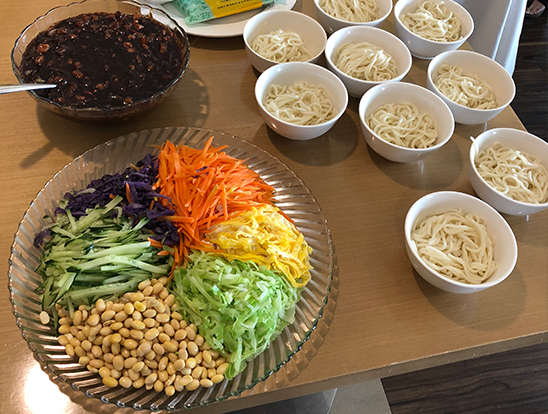 In order to enhance our guest’s living experience, there was a cooking class - Tianjin noodles with soya sauce in Somerset International Building Tianjin. We shared the cooking procedures of Tianjin noodles with soya sauce and the residents stuied hard. In the end, the guests tasted the noodles made by themselves and spent a good time together. 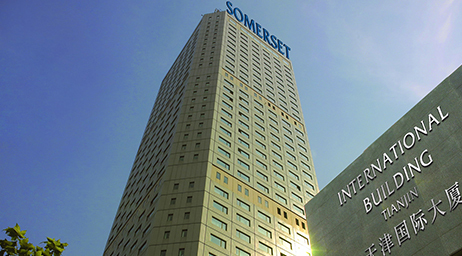 Somerset International Building Tianjin through the unique cooking class, leading residents to explore the charm of urban culture, taste authentic delicacies, and bring them their own Ascott lifestyle! The Czech National Day is on October 28. There are so many guests who comes from Czech in Somerset International Building Tianjin. 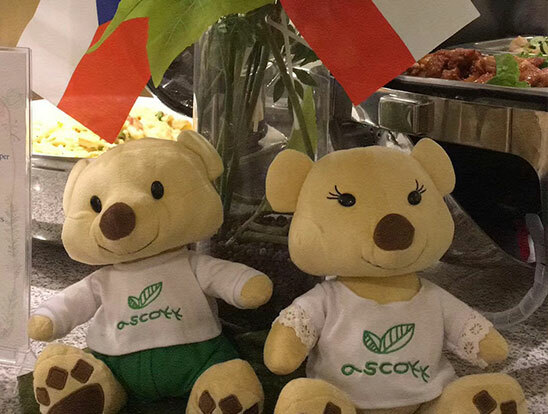 In order to make the residents feel the atmosphere of their National Day in Tianjin, on Czech National Day, we held a dinner to celebrate the Czech National Day. Enjoining the Czech cuisine and local beer, everyone spent a wonderful evening. 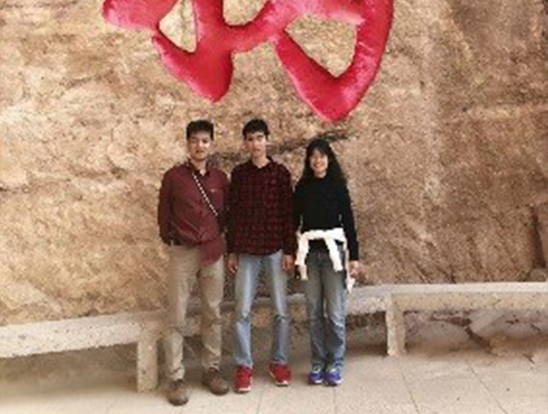 In appreciation to your constant support and to enrich your life in Tianjin, Somerset International Building Tianjin organized a day tour to Xinglong Mountain on Oct 13, 2018. Xinglong Mountain is a Class A scenic spot, it located Chengde City. Just start, we prepared some questions and answer game related scenic spots, not only stimulated the guest's interest, but also make them in Xinglong mountain of Chengde have further understanding. During the tourism, some guests are mountaineering enthusiasts, the pace of watching them aid from sigh than we have, some guest’s focus is on the scenery, from time to time tinkering their camera were afraid to miss any beautiful scenery along the way. More time in the company of people and encouragement to overcome acrophobia brave through high pier glass of the guests...Experience of laughter and sweat of a day, believe that we all have different harvest. Let us full of gratitude for life again! We all enjoyed the beauty of the autumn in North China and had a good relax for our mind and our body. 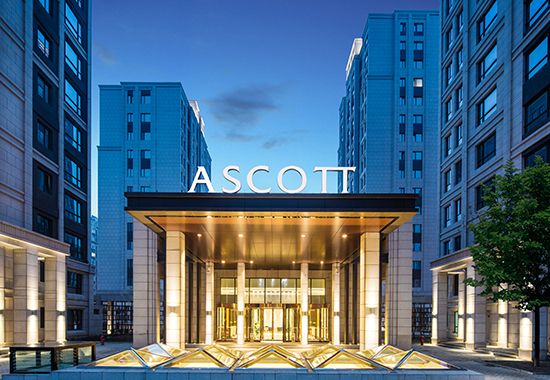 Somerset International Building Tianjin leads the residents to experience the beautiful natural scenery and brings them Ascott lifestyle with health and energy.